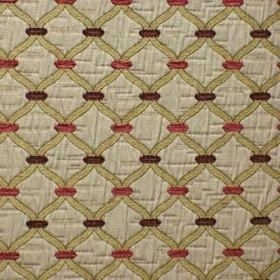 Traditional woven upholstery fabric with a slight quilted texture. Pattern Repeat: Height 4.5cm. Width 4.2cm.